He’s the Food Network personality and cookbook author who has some of the best (and nerdiest!) cooking hacks around. So when I came across one of his Instagram posts suggesting that people should cook their meatballs in empty egg cartons, I knew it was for a good reason — despite how weird it sounded. The photo, which Brown posted back in 2017, shows him holding up an egg carton filled with uncooked meatballs. Brown’s caption explains that the egg carton is used “to wick away the grease” as the meatballs are roasting and added the hashtag #crispyallover implying that it helps crisp them up. Another thing to note is that Brown is using a cardboard egg carton, not a styrofoam one — which probably wouldn’t work out too well as it could burn or shrink (and is not oven-safe). Other than that, it appears that Brown just bakes them directly in the carton as per usual. And I’m not the only one who noticed — some people actually tried the hack at home and had great things to say. “These #AltonBrownMeatballs are AMAZING. They’re crunchy on the outside and juicy in the middle,” read this Instagrammers caption. But this isn’t the first time Brown has suggested cooking meatballs in an ~unconventional~ way. 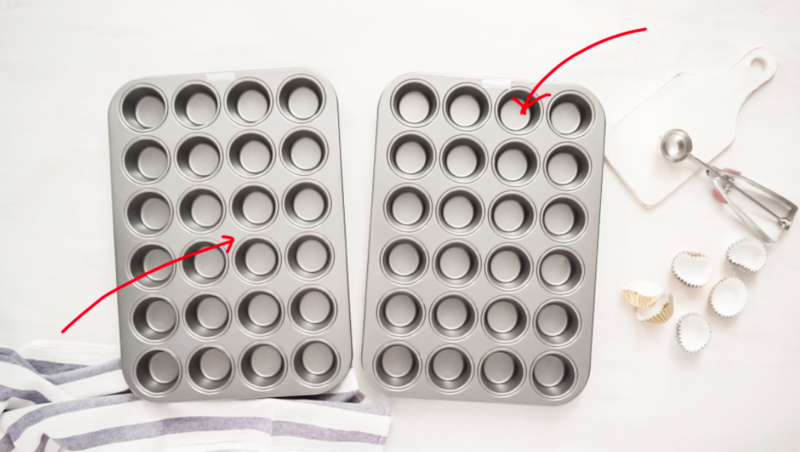 A few years ago, Brown posted a recipe for baked meatballs that cooked them in the cups of a mini muffin tin — a trick that ~I’m assuming~ helps crisp them up due to the metal heating up all around them. So what do you think of Brown’s egg carton cooking hack? Would you try it?